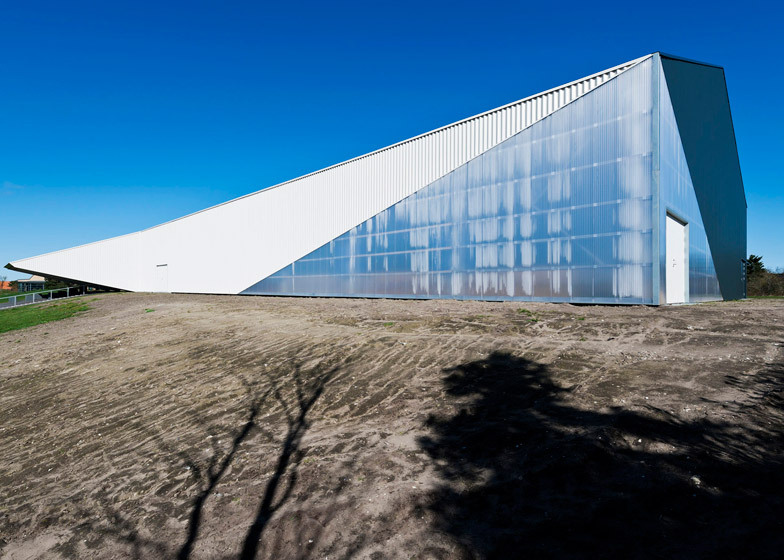 Danish architecture studio CEBRA has combined standardised corrugated metal roof sheets with translucent plastic panels to construct this sports hall in the town of Løgstør like a Meccano model (+ slideshow). 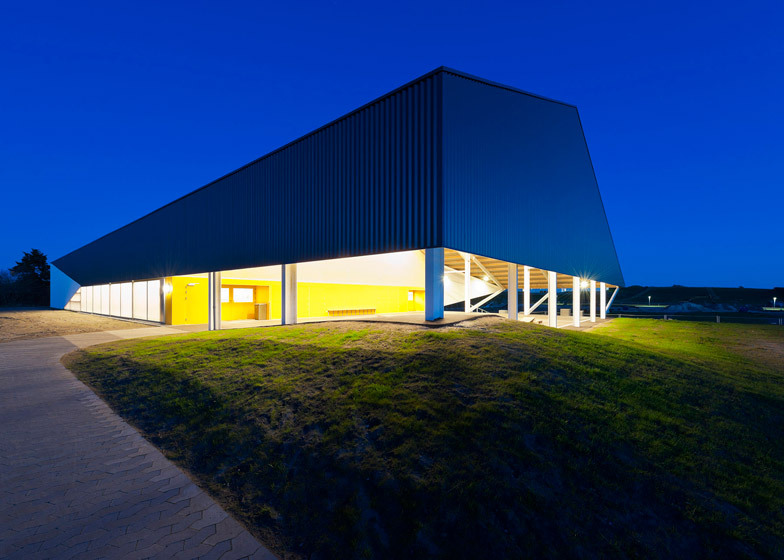 The Løgstør sports hall was designed using a modular building system, developed by CEBRA in collaboration with the Danish Foundation for Culture and Sports Facilities and used to construct affordable, lightweight, unheated sports halls throughout Denmark. The firm's Meccano Concept is based on the principles of the Meccano model-making set, and utilises standardised components and materials typically applied in the construction of industrial buildings. 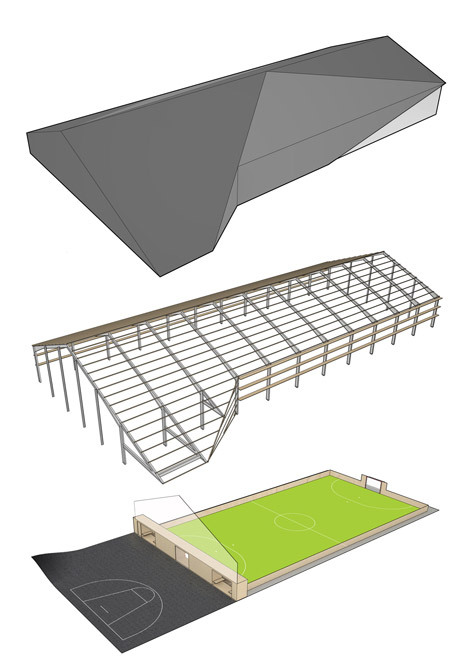 "The idea is that these simple elements can be refined and combined in new and surprising ways – just like the Meccano model construction system – in order to create architecturally appealing, accessible and easily adaptable sports facilities, which are cheap to build and maintain," said the architects. 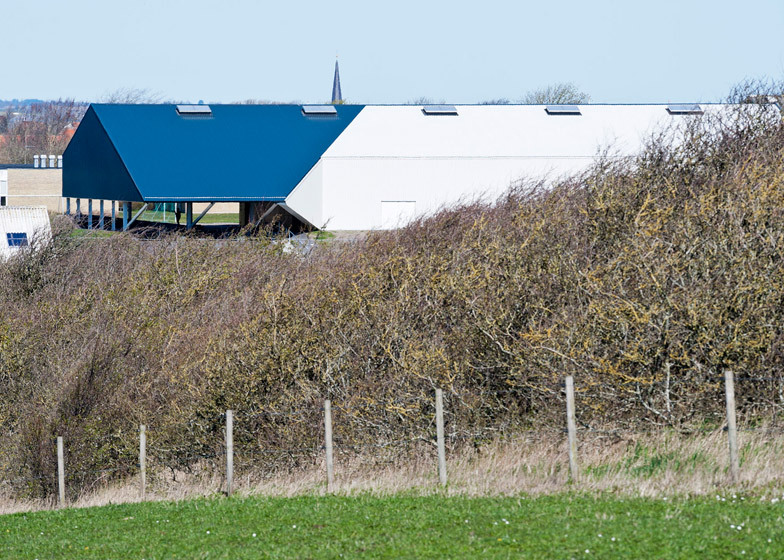 Løgstør's sports hall is situated close to the town's school. 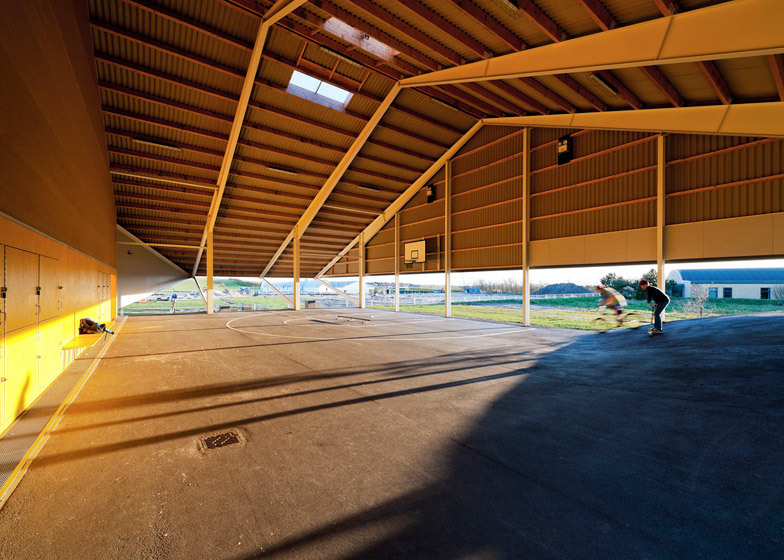 It contains an indoor artificial turf pitch, an all-day accessible asphalt surface with basketball facilities and a ramp for skateboarding sheltered beneath the projecting structure. Thin panels of corrugated steel are used to create the faceted roof, which is influenced by folded Japanese paper sculpture. 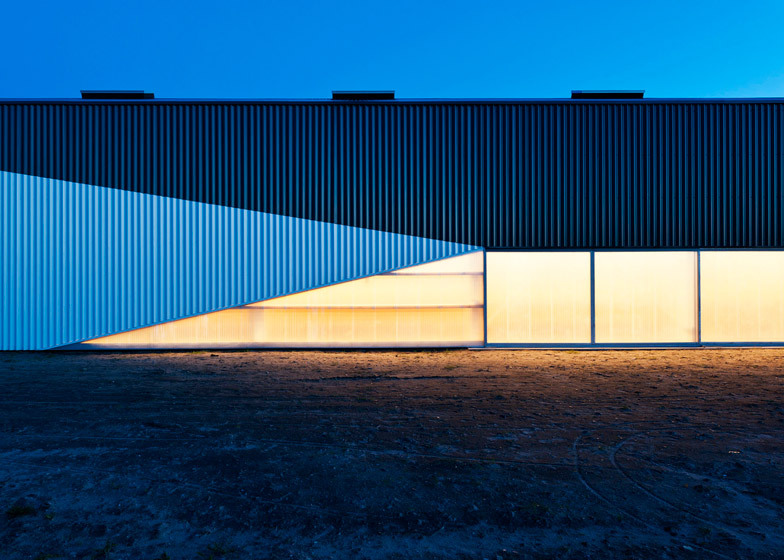 "The formable outer shell contributes to the building's light and partly translucent expression and allows opening the construction towards its surroundings, depending on the site's location and orientation," said the architects, describing the unique series of gaps created in the walls. 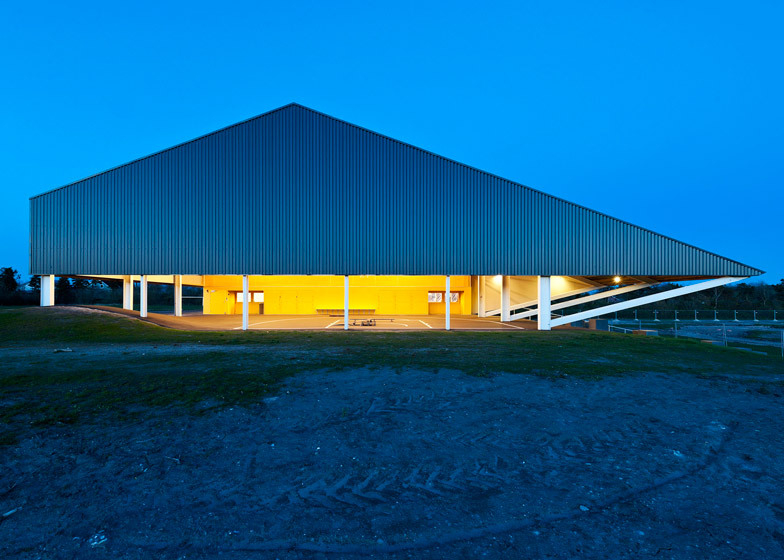 The roof is stretched in places to create the required shelter and is sliced away in others to provide openings and areas that are filled with ridged translucent plastic. 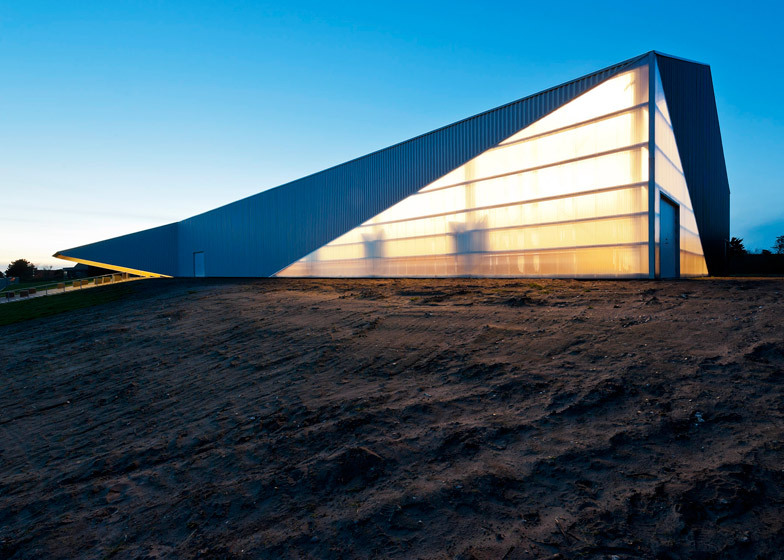 These sections enable daylight to filter into the sports hall during the day and light from within to illuminate the structure at night. 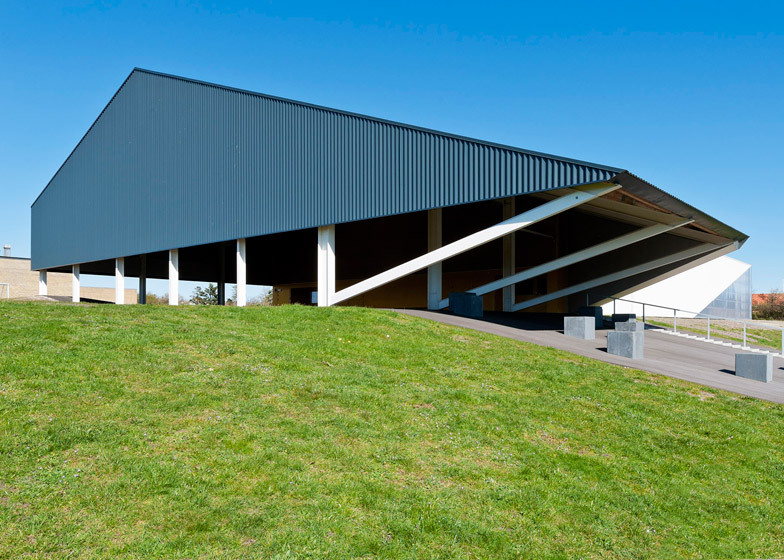 Sliding sections in the corrugated plastic wall can be pulled aside to connect the hall with the open space outside during large events or to provide improved ventilation in summer. 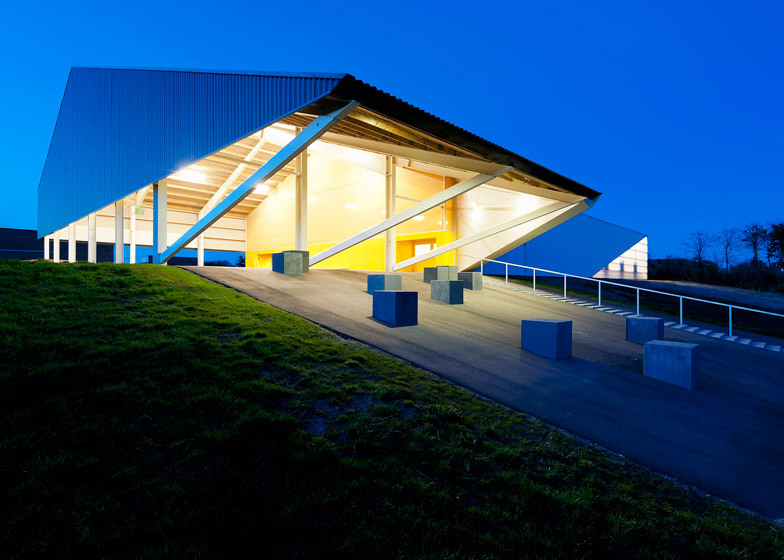 Entrances to the sports hall are accommodated in a section of the end wall that is painted bright yellow, and provides space between the outdoor court and the interior for benches and storage lockers. 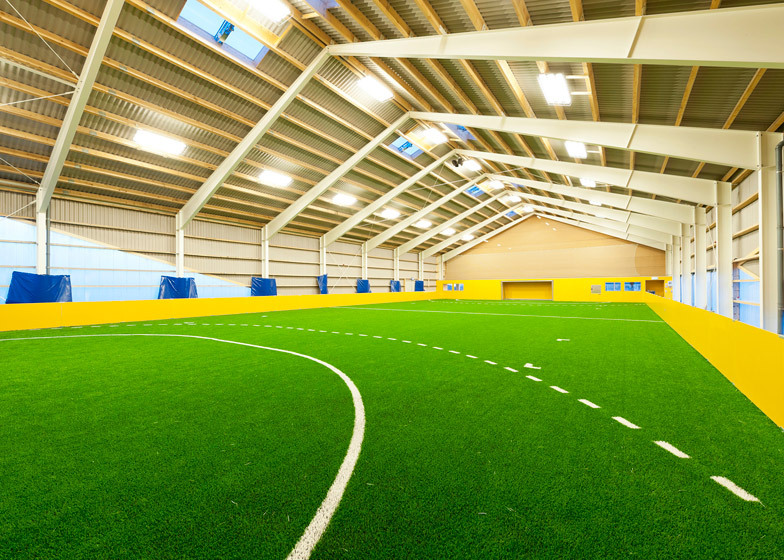 The modular construction system designed by CEBRA can be used to construct sports halls with unique forms and characteristics. 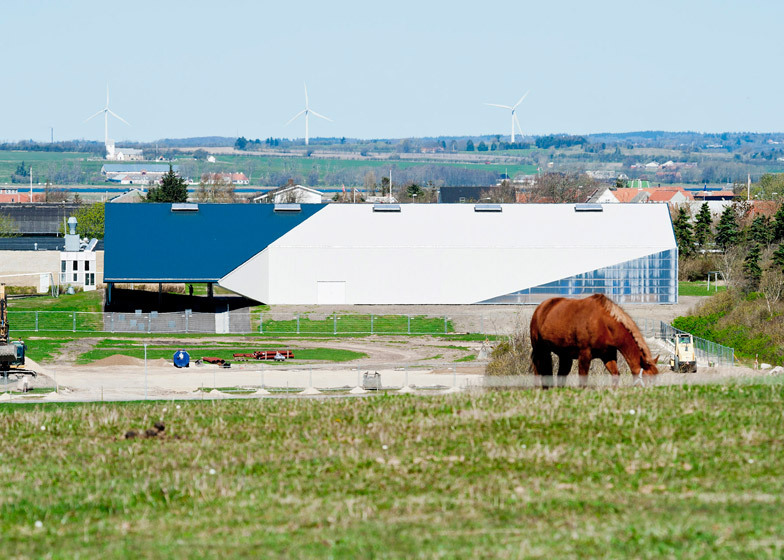 A dome-shaped structure called the Igloo created in collaboration with Copenhagen skate park specialists Glifberg+Lykke is currently being built in southern Denmark as part of a street-sports park.